Refugio Nieto and Elvira Rodriguez (now Elvira Nieto) were born a year apart in the little town of Tarimoro, Guanajuato, known for its agricultural and handmade brick businesses. Refugio was the eldest child in a family of eight, and Elvira the fourth in a family of nine children. He was born into a family of campesinos, working for 12 pesos a day in the fields, which is why at 14 years of age, Refugio decided to become a ladrillero (brickmaker) earning 25 pesos a day. Her family owned a plot and a pool bar that provided them with a subsistence income. Both their fathers at some point joined the Bracero program, earning just enough money across the Border to improve the family futures by purchasing farm land. Elvira ventured out to California in 1973, following her brother and sister to the Mission District of San Francisco. Her first job was in a factory on 6th and Mission making bedspreads, and later in a garment factory sewing embellishments using machines that “ran at 100 kilometers per hour!” she exclaims. Refugio headed out to California in 1978 to become a lechugero and tomatero in the fields close to San Jose. At night, he slept with other workers among the machinery in the sheds, and remembers talk of Cesar Chavez organizing in Salinas. Both were granted legal residency. “It was easier back then,” says Refugio. Though they had known each other as youth in Tarimoro, Refugio and Elvira fell in love in San Francisco. In 1984, they decided to get married, travelling all the way back to Guanajuato to get their parents’ blessings. “Fathers of the bride were energetic in those days!” says Refugio with a wink. On their return to California, Elvira refused to sleep in the shed in San Jose, and so they found their home on Cortland Street on Bernal Hill, making lifelong friends with surrounding families. In 1985, Elvira landed a job as a housekeeper in a small tourist hotel on O’Farrell Street, and within the year, the young couple started their small family of two kids: Alejandro “Alex”, the oldest, and Hector, the youngest. Afraid of losing a good job, but more worried about having their children grow up without parents, Elvira and Refugio made a critical decision to sacrifice the household economy for the sake of their sons, and Refugio became a stay-at-home dad. They were poorer, but happy and safe. Later, when the two little ones were old enough –about the time when Alex in 6th grade felt embarrassed to be walked to school by his Dad and promised to take care of his little brother–Refugio returned to work. He worked for six years as a dishwasher at a Spanish paella restaurant on Fisherman’s Wharf, and later with a waterproofing contractor in Richmond. When the company closed a few years ago, Refugio retired. Alex and Hector bounded forward in their own lives. 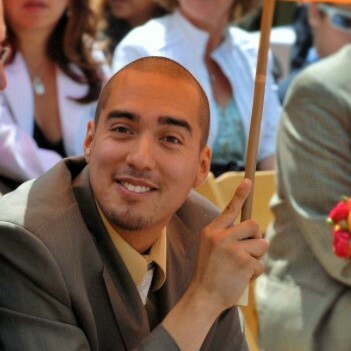 Alex learned to be a community organizer since the age of 12, and a Buddhist pacifist, who dedicated his young adult life to developing a career in criminal justice. He worked as a security guard at night. Hector also became a security guard, with the added responsibility of providing for his daughter as a young father. Today –May Day 2014– is Elvira’s first official day of retirement after working for 29 years as a hotel housekeeper. Months earlier, Alex had started prodding her, “Mami, what are you going to do with all that time? You have to do something that you’ve always wanted to do!” She would laugh and answer, “First, I’m going to rest.” Refugio and Elvira could not have suspected that heading into the final stretch of a lengthy, difficult, often unfair work life, they would suddenly find themselves grieving the brutal killing of their eldest, Alex, by San Francisco police officers. On Friday, March 21st, 2014, Alex Nieto (age 28) went up to Bernal Hill to watch the sunset and eat a burrito, before going to his security guard night shift at El Toro. Bernal Hill was his respite since he was a child, and it was common to find him walking, sitting, or exercising on the hill. That day he was wearing his security guard belt, with a holstered taser, and his new 49ers jacket. In a Town Hall meeting after the shooting, Chief of Police Greg Suhr explained that a pedestrian on the hill called 911 at 7:11pm to describe a Latin male adult wearing a bright red jacket and a gun at his hip. At 7:14pm, the caller, who stayed on the line while officers arrived on scene, described Alex as eating sunflower seeds or chips. At 7:18pm, the same caller heard the shots that killed Alejandro Nieto. From an available home security camera audio recording, we know that police first fired two shots, followed by a seven second pause, succeeded by approximately fourteen shots. In the Town Hall meeting, Chief of Police Greg Suhr explained that Alex had raised his taser at the approaching officers from 75 feet away. Officers fearful for their lives, shot Alex twice, and he fell to a prone position. Suhr claims that wounded and fallen, Alex raised his taser to track police officers with a red dot laser. Suhr states that the four officers on scene still felt threatened, but this time, they plied him with bullets until he stopped moving. Alex’s family and friends also cannot believe police version of events, because he was a student of police regulations and procedures. He had participated two years at SF Police Activities League (PAL) as a youth, before choosing a Criminal Justice degree at City College with the aim to become a probation officer helping youth. He had just completed his program. It is truly an unbelievable version of events that Alex, with his background in law enforcement, seeing officers with guns drawn would even consider touching his taser. It is even more unbelievable that after feeling the impact of bullets and falling to the ground, knowing that he only had a taser and officers had guns that Alex would continue to track officers with the taser. Police version of events are simply impossible to believe. The irony of this shooting is that Alex had at one point participated in the PAL. His activities were interrupted by the closing of PAL after 9/11. When the academy reopened, he didn’t return, but other of his classmates did and went on to become officers. Alex had friends in the police department. 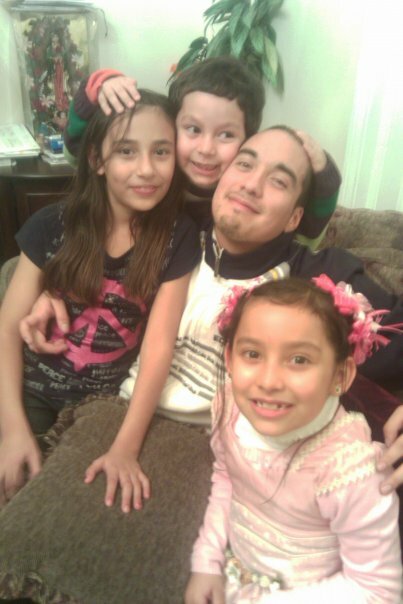 Eighteen hours after SFPD killed Alejandro, police officers decided to pay the family a visit. Three officers showed up at the Nieto family home, under the pretext that they had come to inform the family about Alex. Instead they interrogated the parents in English —they speak Spanish— fishing for information about Alex’s lifestyle. Refugio stopped them, and told them they could not continue without a translator. An interpreter was bought, and officers once again asked to enter their home. Refugio asked if they had a search warrant, which they said they didn’t, but once again, officers insisted that they came to talk to them about Alex. In this understanding, the parents allowed them inside their modest home and led them to the room where they receive guests, which is the family TV room and Alex’s bedroom. Once inside their home, officers continued to interrogate the parents, placing hands on objects that attracted their attention in the room. Seeing their behavior, Refugio demanded to know the reason for their visit “Are you here to inform us about Alejandro or interrogate us?” The interpreter finally relayed the message: “Alejandro ya no está entre nosotros,” a literal translation of “Alex is no longer among us,” and that police had killed him. The police officers left, but not empty handed. With the car keys recovered off of Alex’s body from the shooting scene, the officers took his car from the street, without a warrant, nor notice to the family. Refugio and Hector were left to worry that the car had been stolen… which in fact it was, by the police. The inside of the car was completely stripped, and they also took Alex’s iPad from the car, without a warrant, nor notice to the family. It wasn’t until Supervisor David Campos intervened that the family got the car back, insides destroyed. When the interpreter told the family that police had shot Alex dead, Elvira demanded to know “Why?” An officer answered, because “he was a threat.” To which Elvira retorted in anger and anguish, “Couldn’t you have shot him in the leg? !” Despite being in the throes of trauma, Elvira asked an important question. Each officer needs to justify the threat that allowed him or her to keep unloading their firearm, bullet by bullet, ensuring the death of Alex Nieto. At some point, these officers decided to kill him, even though Alex couldn’t possibly have been a threat. An unlawful police officer shooting is a crime. 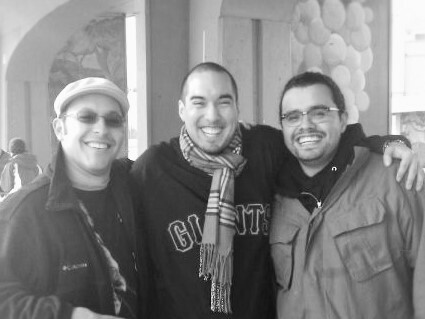 For those of us, who do not believe police versions of events, it makes sense that SFPD delayed notifying the family for 18 hours, pulling an all-nighter to fabricate a story that would make the public believe that they had killed an “outlaw.” In the case of Alex Nieto, SFPD will never be able to sustain that storyline, because Alex was spiritually and professionally a man of peace and law. The only believable explanation is that racial profiling led those police officers to kill an innocent. Unfortunately, citizens and residents of San Francisco have no access to facts that could provide an alternative explanation. After Alex was shot, we do not know how police handled evidence or statements from officers and eyewitnesses. All police activity is shrouded in obscurity by regulations and committees established to protect officers (not citizens.) Not even the audio of the 911 call has been released, nor the medical examiner’s report. The well-known saying is “justice delayed is justice denied.” With police holding all available information, ample opportunity to manipulate or hide the truth, with public transparency inexistent, and lengthy litigation as the sole means of gaining any answers, justice goes denied and police abuses go uncurbed. Still, it is the police who on a regular basis claim that their lives are threatened by poor minority and migrant inhabitants of the City. This is a community distress call.